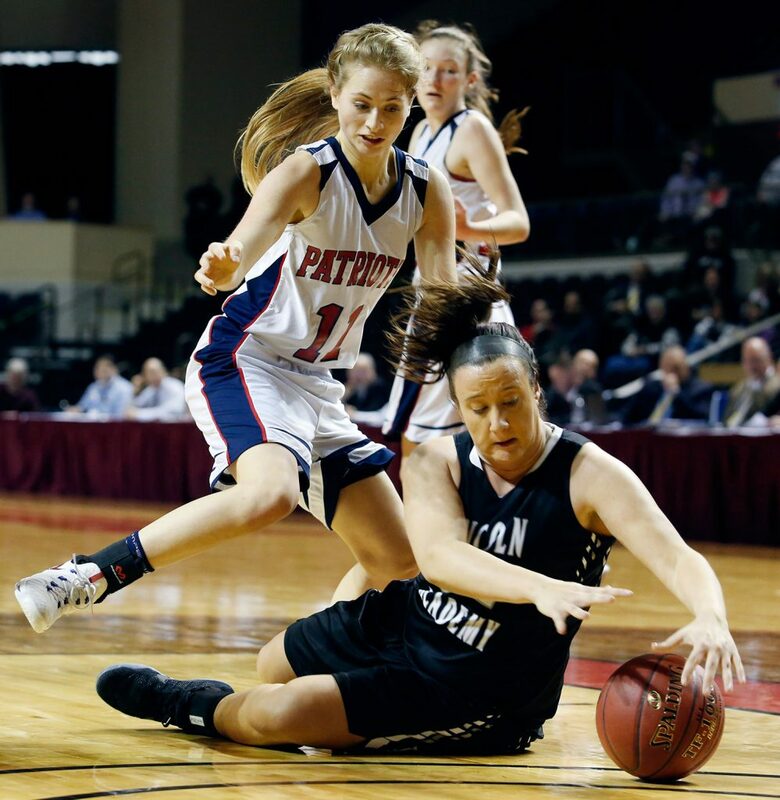 Bri Jordan leads the Patriots with 16 points in a 46-32 win over Lincoln Academy in the South regional final. Bri Jordan woke up Saturday morning feeling good. Confident, in fact. And she showed it Saturday afternoon at the Cross Insurance Arena. 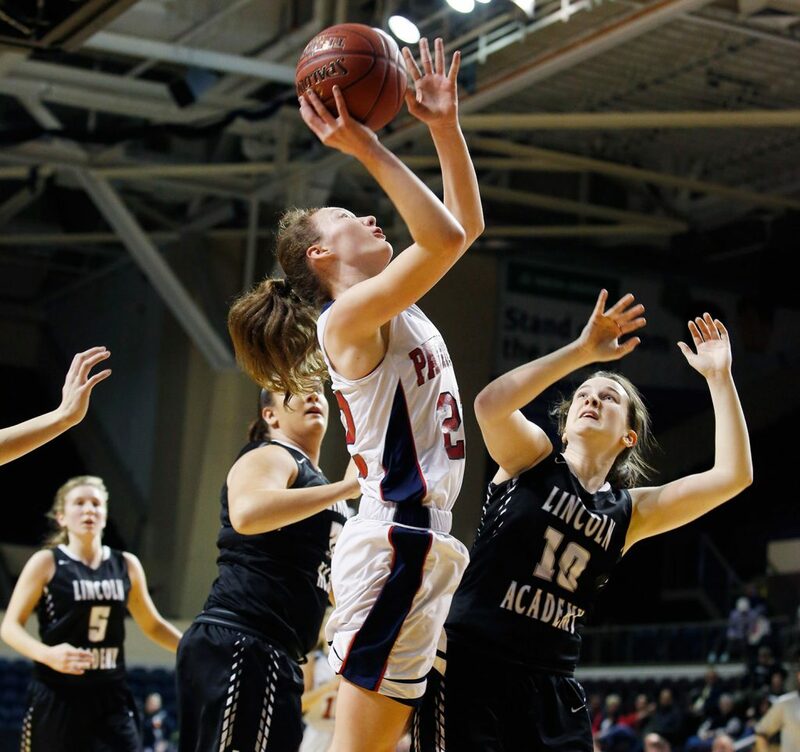 Jordan, a sophomore guard, scored 16 points to pace a second-half surge that carried top-ranked Gray-New Gloucester to a 46-32 victory over sixth-seeded Lincoln Academy in the Class B South girls’ basketball championship game. She had seven points in the third quarter when the Patriots took control. It was Gray-New Gloucester’s second consecutive Class B South title, both wins coming over the Eagles. 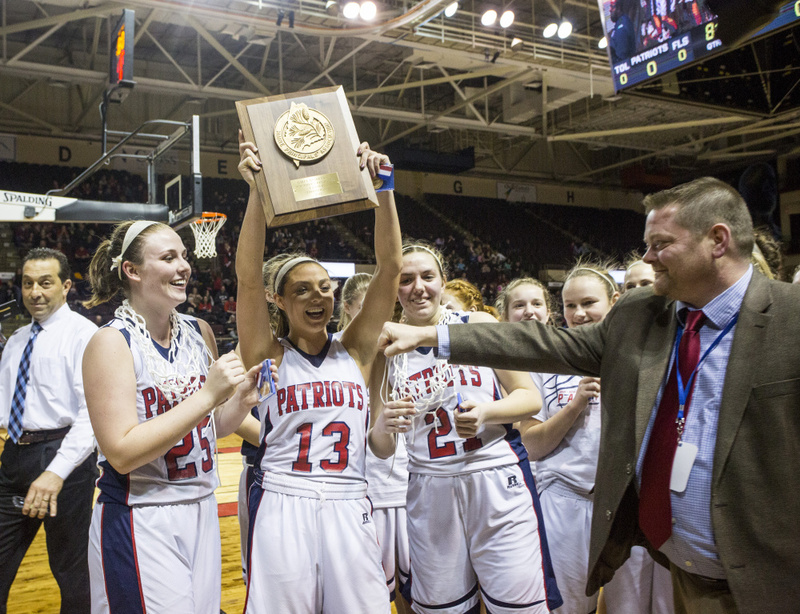 The Patriots (20-1) will play Houlton (20-1) in a rematch of last year’s Class B state title game at 6 p.m. Friday at the Augusta Civic Center. Jordan was presented the Mike DiRenzo Award, given to the tournament’s outstanding player/sportsperson. The Patriots struggled early against Lincoln Academy’s matchup zone, trailing 8-5 after one quarter. But their man-to-man defensive pressure wore down the Eagles and helped open up the offense. The Eagles (15-6) shot just 24 percent for the game, missing all nine 3-point attempts, and never got into any kind of rhythm. “They just simply put the clamps on us,” said Lincoln Academy Coach Kevin Feltis. “Give all the credit to them. Still, Lincoln Academy led 17-15 early in the third quarter after an offensive rebound basket by Kortney McKenna. A Jordan 3-pointer from the top of the key with 5:57 left in the third put the Patriots ahead 20-17. They wouldn’t trail again. After Wajer (11 points) scored inside for Lincoln Academy to pull within three, the Patriots scored the final eight points of the third quarter – a basket by Grace Kariotis, a jumper by Jordan, a steal and layup by Jordan, and two foul shots by freshman Jordan Grant – to take a 32-21 lead into the fourth. 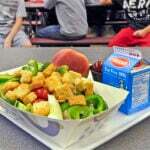 “It was good that the kids didn’t panic,” said Andreasen. “The game the other day (against Lake Region), in the third quarter I saw something in the kids’ eyes I hadn’t seen all year. There was some panic. That day they were able to defensively regroup. Jordan, who fouled out with 3:50 remaining, hit a 3-pointer to start the fourth to make it 35-21. Lincoln Academy got no closer than 12 as Grant scored six in the fourth and Izzy DeTroy added four. Like her coach, Jordan said a key was that the Patriots didn’t panic when they struggled offensively.